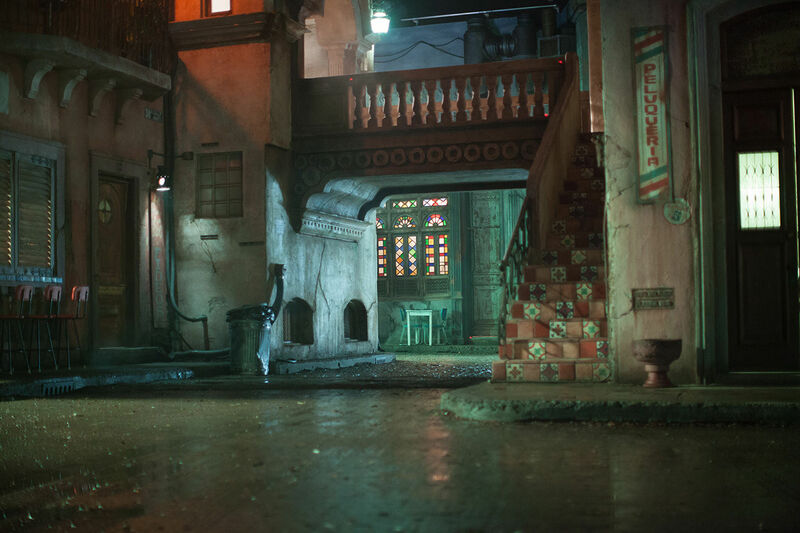 Alita: Battle Angel’s Iron City is a place of intensity and diversity. 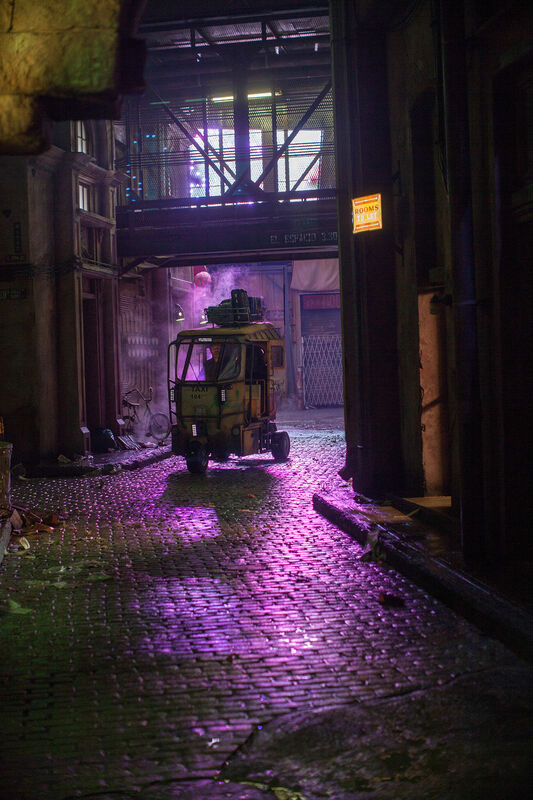 Set in the 23rd Century, Iron City is the home of the film’s protagonists – Alita herself, her ‘father’ Dr. Dyson Ido and love interest Hugo – and where most of the action takes place. Despite living in the shadow (literally) of another city – Zalem, which is suspended above Iron City and is a place of extreme luxury that citizens of Iron City are forbidden to enter – it’s not a desperate slum that exists only to make a point about privilege, as you find in much near-future sci-fi. Instead, it’s more like the outer city of a medieval walled city – a place as much of hope as despair, of love and brutality, ingenuity and childlike innocence and cruel, stupid death. It’s a place where an everyday life has been created and persists. When first thinking about how to represent this urban sprawl on screen, production designers Caylah Eddleblute and Steve Joyner had a wealth of sources to draw on. Firstly, there were the comics the film is based on - though these are rendered in black and white. Producer James Cameron had his notes from when he was thinking of directing the film himself, before passing it onto Robert Rodroguez. Robert has his own inspirations – some of which came from places Caylah and Steve had worked on productions with him in the 15 years since Sin City. “Because we've worked with Robert for so long, we have travelled a number of places with him on productions,” says Caylah. "We've been in colonial Mexico, in San Miguel de Allende in Guanajuato. Steve and I have travelled to Panama City. Those were all references with a global flavour that we knew we could capture. "When you spend a lot of time in places that have that kind of diverse architecture, it does get in your skin. You know intuitively what the visual cues of those environments and cities and landscapes are, and kind of how to get that taste and smell and sense of touch and grit." 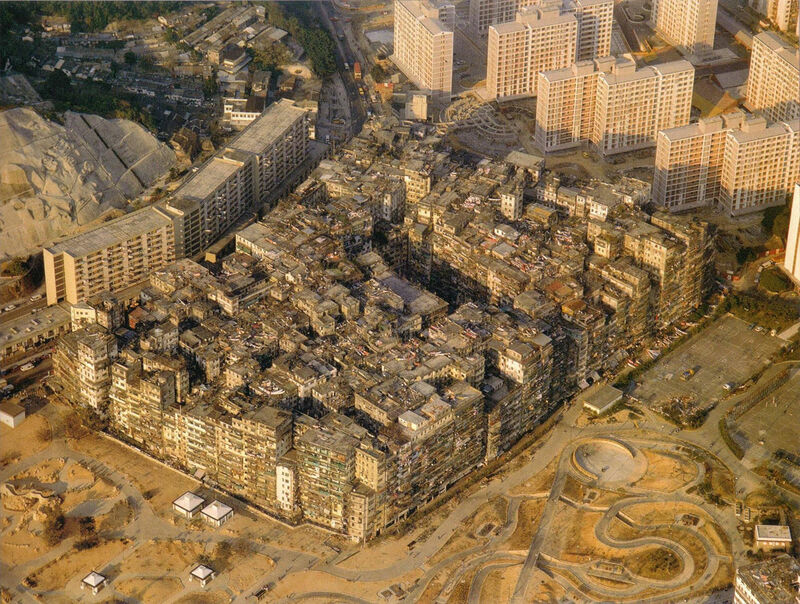 Another area that Robert wanted them to reference was Kowloon Walled City (below), a ramshackle densely populated district of Hong Kong that was notorious for crime and associated with triad gangs before it was demolished in 1993/94 and replaced with a park. Photo by Ian Lambot. Also found in the book City of Darkness - Life in Kowloon Walled City by Ian Lambot (ISBN 1-873200-13-7). Republished under a CC BY-SA 4.0 licence. 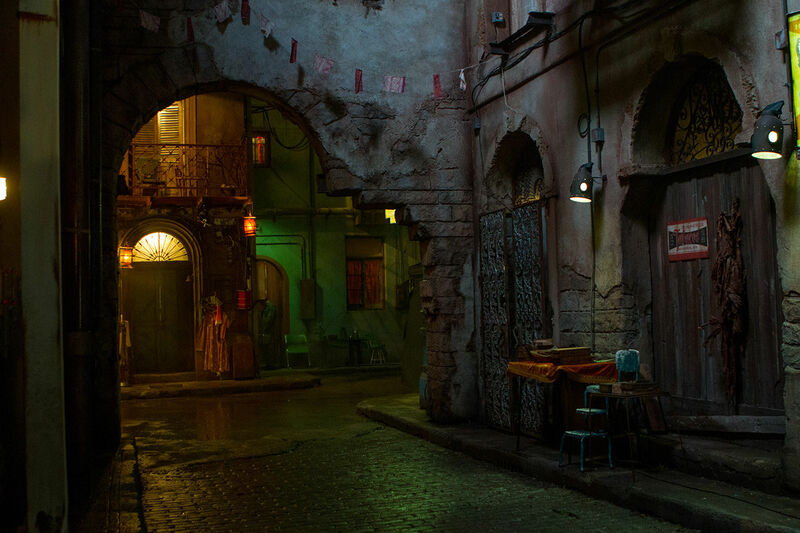 A still from the film's trailer where you can see the direct influence of Kowloon Walled City. This melange of ideas matches Iron City, as it’s somewhere that people from all around the world have come, bringing their visual representations of their cultures to its architecture, interior design and fashion. What brings it all together is the light. "Everywhere you travel, the light is different,” says Caylah, "and that's one of the key things that Steve and I really think about [when conceiving the look of a film], is light – how light will affect a mood and evoke something in the setting." 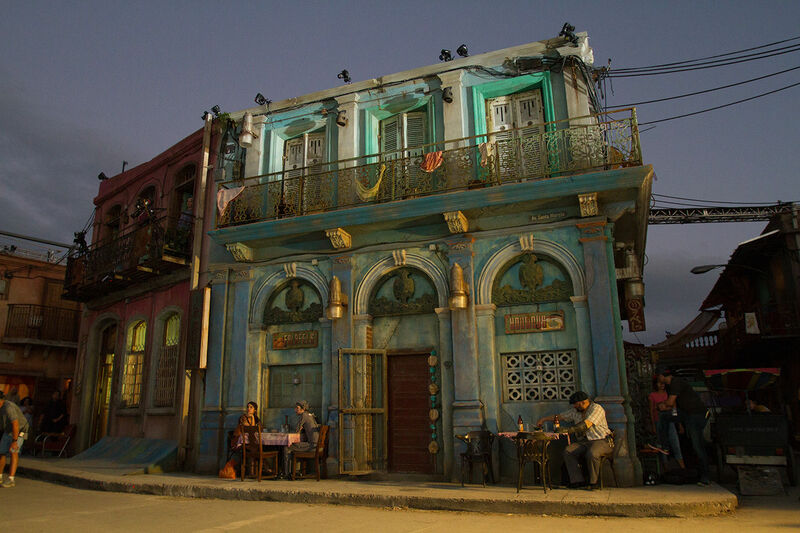 Iron City is lit through the hazy glow of equatorial sunlight or electric lights at night, compounded by dust and grime. 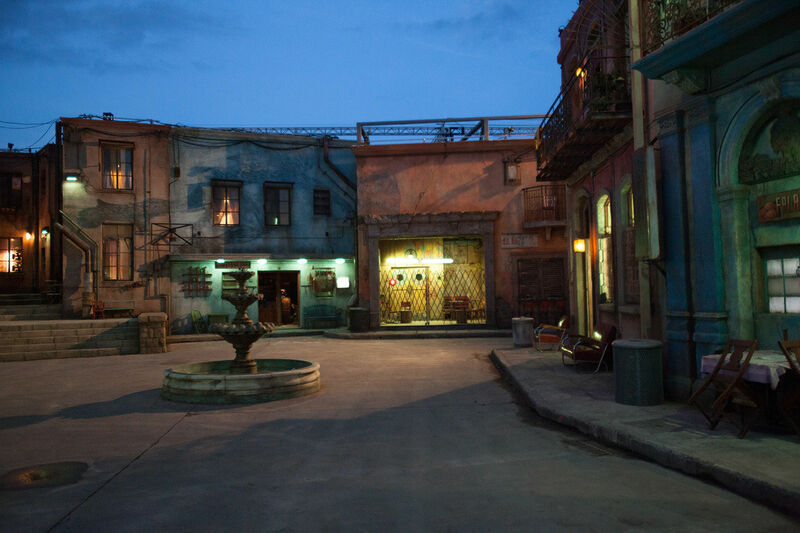 While much of the epic scale of Iron City was created using CG and matte paintings, Caylah and Steve oversaw the creation of massive real sets with interconnected areas and distinct neighbourhoods that she could wander between. The aim was to create a city that felt like there was always something else just down a passageway or behind a door – a city to be explored. Caylah would walk through the city several times a day. 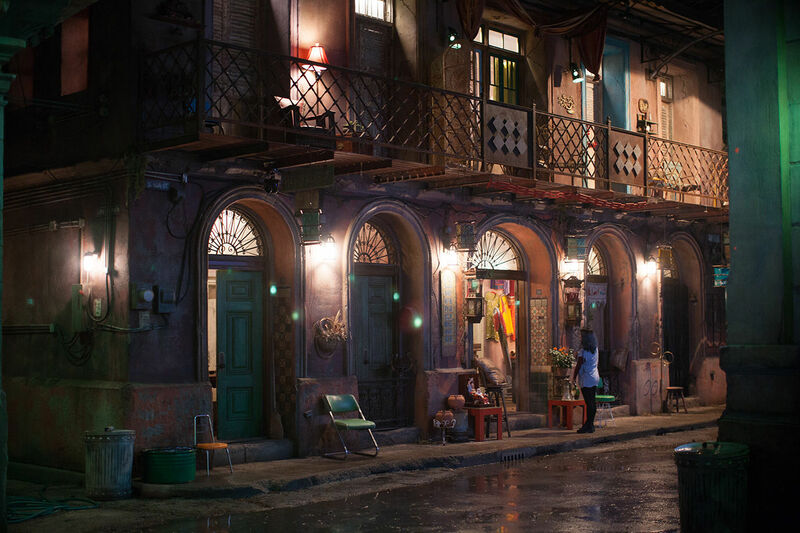 She stood at the corner of each building and to see how it looked set against the background of the rest of the set. 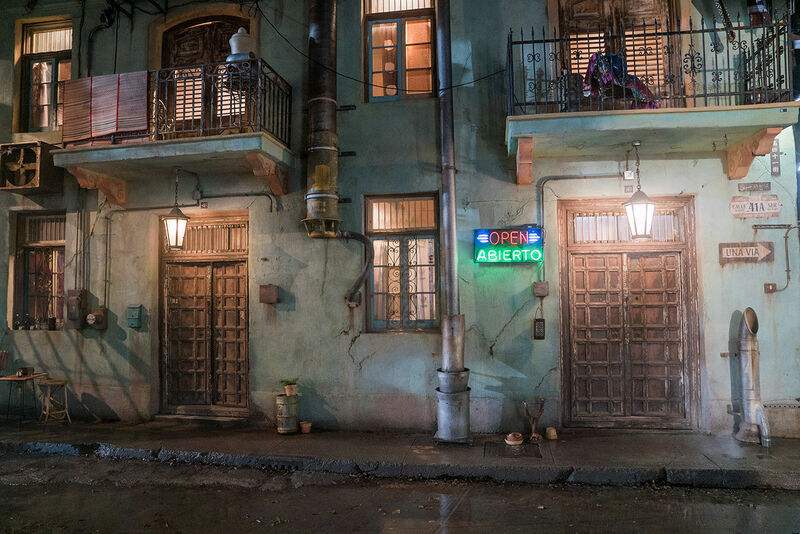 Again, lighting was key to making the sets feel real on screen. To add complexity to the lighting, director of photography Bill Pope – best known for his work on The Matrix – hung 60- by 40-inch metal grids above the set. “He would have fabric wafting from these grids overhead to help create shadow and pools of light, because that's what creates depth – and depth is what makes a cityscape feel real and not like a flat set." A city of this size should inspire a sense of wonder and for Caylah, the act of creating it is where that comes from. “We had something like 350 people in our art department,” she says. "And every day I would walk out and see plasterers and carpenters and painters. They'd be working, they’d often be looking up at Iron City – and that provided a sense of wonder. Caylah and Steve’s work on the sets lead to them creating an immersive experience to promote the film in LA and New York – and this week at the SXSW festival in Austin, Texas. Called Passport to Iron City, each spans 6,000 to 10,000 square feet, and include the Kansas bar, Motorball, the scrapyard and other locations from the film. "These immersive experiences were absolutely thrilling to work on, and so different," says Caylah. "The vitality of it has been incredible." All set photos by Rico Torres. Alita: Battle Angel is in cinemas now..